Material: aluminum+zinc alloy+iron screw+pp lid catcher. This bar mounted bottle opener is made of mainly metal, and with the logo water transfer printing on a PVC panel.Very simple and classic design, suitble for all kinds of beverage and beer opening. 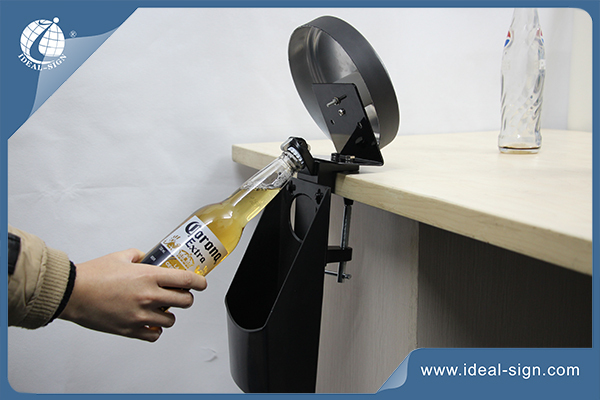 With such a bar top bottle opener mounted on the front desk, the bar will be more attractive and professional. With this special item, could enchance the beer and liquor brand awareness, which help also the new -born beverage brand for promotions!  We are one of the companies which enjoy rich experience in the field of Liquor and Beer Brand Promotions! We provide customized bar mounted bottle opener, with practical beverage opening function and also ideal to display and promote the brand name.